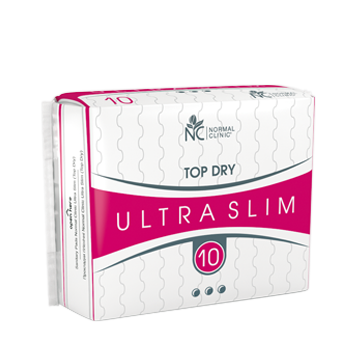 Perforated topsheet, which quickly absorbs moisture TOP DRY. Soft antiallergenic topsheet provides convenience and protection COTTON. 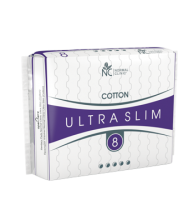 Produced by the unique technology, only 2 mm thin, sanitary pads NORMAL clinic® Ultra Slim are completely invisible, even in tight clothes. 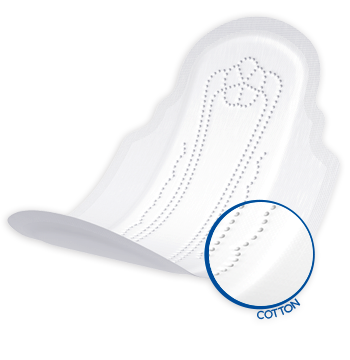 Breathable inner layer perfectly absorbs moisture and holds it inside the pad. 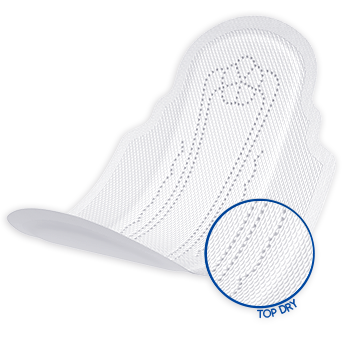 Oblong bottom part of the pad (for five drops pad) protects during heavy flows. 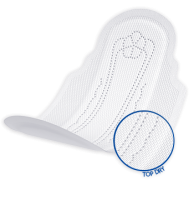 Enlarged wings provide extra protection against leakage, the pad doesn’t wrinkl or curl. 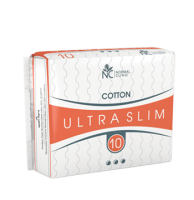 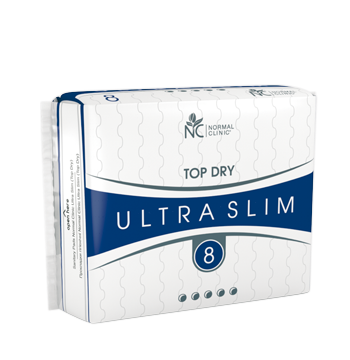 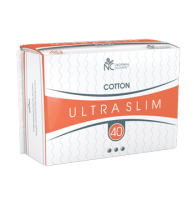 NORMAL clinic® Ultra Slim are presented in 2 types of the topsheet: Cotton (soft topsheet) and Top Dry (perforated topsheet, which quickly absorbs moisture). 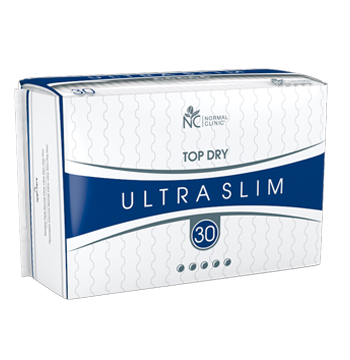 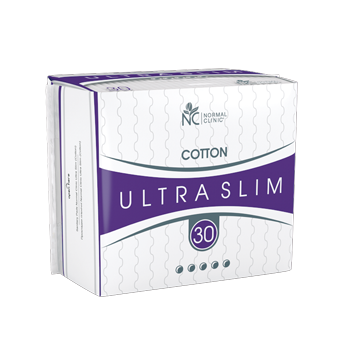 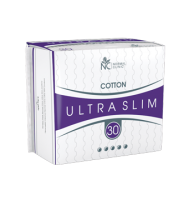 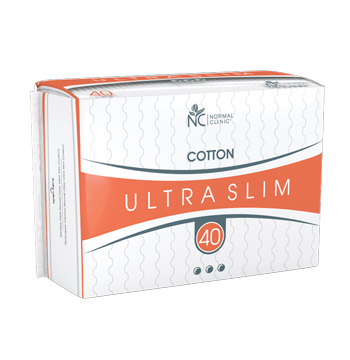 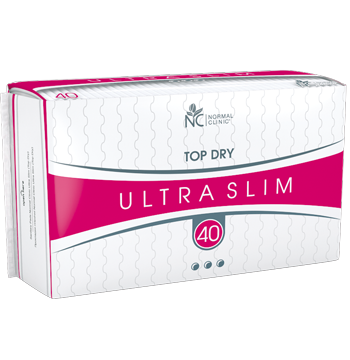 NORMAL clinic® Ultra Slim are also available in economy package.